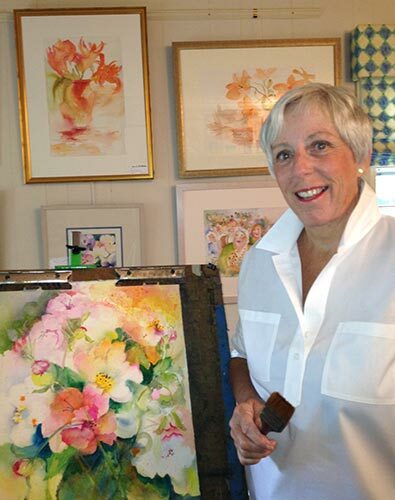 On August 17, from 1-4pm, at the Berkeley Art Works, 116 North Queen Street in Martinsburg, Watercolor artist Mary Alice Bowers will present “Structure and Expression for Flowers in Watercolor”. This workshop will cover techniques to achieve soft flower paintings. Topics covered include elements and principles of design, composition, color harmony, and a wide range of watercolor painting techniques. Some painting experience advised but not required. The cost of the workshop is $45. Details and registration information for the workshop is available at the Berkeley Art Works gallery during regular hours, Thu 12-5, Fri 12-8, Sat 12-5 and Sun 12-3 or on the web site http://artworks.berkeleyartswv.org/workshops/.